The Lego Advert… I mean Movie. 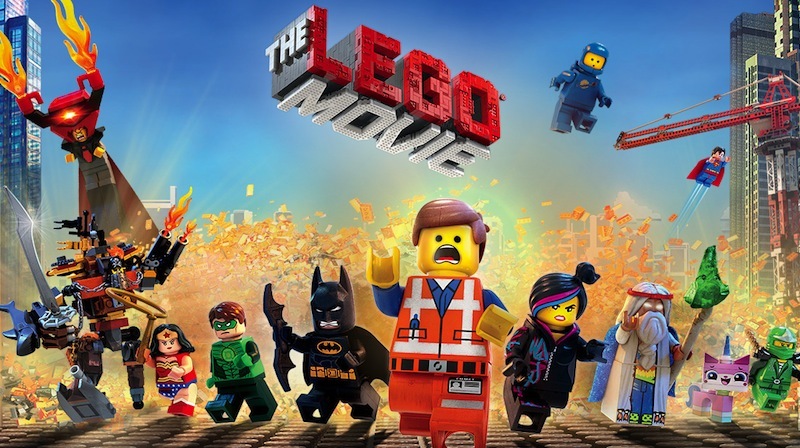 So last night I finally watched The Lego Movie and, to be honest, it was exactly as I expected it to be. Sure, it’s occasionally funny (though not LOL-worthy), it’s really well made and there’s a sort of message there too. But what message there is – Be Creative! seems to sum it up, really – is overshadowed by the hypocrisy of the whole thing. So, it’s a sort of anti-big-business, champion of free-thinking metaphor stretched to almost-breaking point, I don’t think anyone can disagree with that. But it’s also a catalyst for exactly that which it seems to denounce. The plot sees an ordinary, generic-faced Lego man team up with all manner of “Master Builders” to defeat evil Lord Business (honest) who plans to use the “Kragle” (a tube of super glue – Kra–gl-e = KrazyGlue with some of the letters rubbed off…) to freeze the Lego world in permanent, ordinary tableau. Emmett the Lego man has to break his conditioning – a rigid adherence to the instructions for every aspect of Lego Life instilled by an homogeneous media controlled by Lord Business – to Be Creative and save the day by, well, putting the lid on the glue bottle. So far so meh-with-a-few-good-bits. But the people helping him are special – Batman, a wizard, Dumbledore, Superman, a Pirate, Gandalf, Green Lantern, Wonderwoman etc. Basically, loads of characters from Lego’s recent glut of video games. Okay, maybe the point is that they’ve escaped the prison of their own Lego sets to join forces and Be Creative but I saw it as “and we sell Lego Batman and we sell Lego Pirates and we sell Lego DC Characters and we sell Lego Lord of the Rings and we sell Lego Harry Potter…” and so on. That’s an advert. There’s even a bit where, when the team is introduced, they show stills of OTHER Lego sets available to buy but not deemed popular enough for the film (they even make a gag about it) which, for me, is one advertising-opportunity-grabbed too far. This and, among the fluff and bluster of the “plot” where Business is the Bad Guy, continued mentions of, well, businesses and their products – KrazyGlue and Apple iPhone among others – I was left feeling a bit like the reader of one of those “How To Stay Safe Online” booklets produced by a particular ISP which say “the best thing you can do is buy all our anti-virus stuff and sign up to expensive monthly contracts with us – yep, then no harm will come of you online!”. I felt like I was being spoon-fed an antidote to a poison made by the fella feeding me, even an antidote laced with the poison it is meant to protect against! I haven’t looked, but it can’t be long before we get an Official Lego Movie Lego Set, with instructions telling you how to build those wonderful, creative, free-built wonders from the film. Or a Lego Movie video game where you aren’t able to free-build and the only locations are those already shown on-screen. Or a Lego set with a little generic-faced Lego man in a construction uniform – like the millions already available – but this one has a quirky smile on his face and “Emmett” on the box so is £15 more expensive – because it’s a collector’s item! …and when, at the end of the film, the dad suggests bringing the boy’s little sister down to play it seems that her horrific creations are “The New Villains”… Is that okay? Is that fair? Isn’t it all about Being Creative? I was confused. And a little appalled. All in all, if you aren’t looking for a message, don’t care about the manipulative powers of advertising and don’t mind the fact that you’ve paid to see a two-hour advert for Lego – and it is that, it absolutely is – then The Lego Movie should entertain, as it did me for the most part. But if, like me, your enjoyment is likely to be tainted by the whiff of manipulation and hypocrisy as Lego tries to convince you that it’s different to all the other companies, like a shiny, plastic abusive spouse, then you’re likely to have enjoyed my review. Thanks for reading. I think Lego’s attempts to enter all these different media (including Legoland – a themed park for Lego sounds ridiculous when you think about it, and that’s because it is!) is a bit of a forced bandwagon.